The Chicago Audible - Chicago Bears Podcast and Postgame Show | Listen Free on Castbox. In this week’s show, the guys go through and analyze the Chicago Bears schedule that was recently released. Additionally, they share each of their final mock drafts a week before the NFL Draft begins. 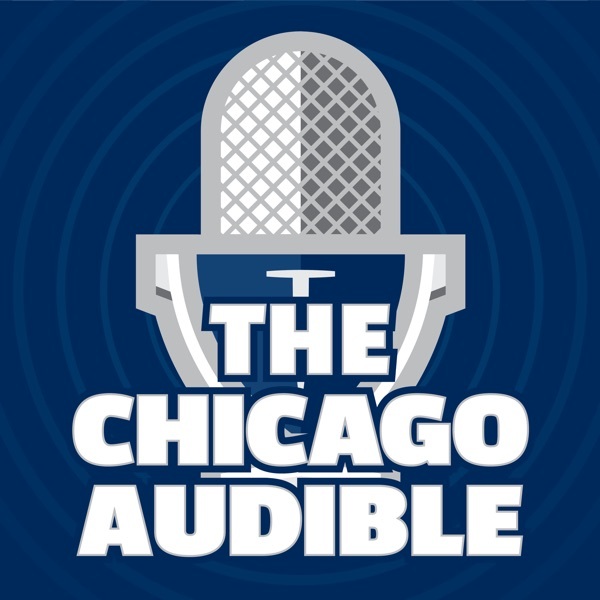 Oh, and they talk about what they hope is transpiring in Halas Hall during OTAs.The post  Chicago Bears 2019 Schedule Analysis (And Mock Draft Special) appeared first on The Chicago Audible. With two weeks until the NFL Draft, host Will DeWitt is joined by site writer and draft guru Steve Letizia to go through his final running back rankings. What does each of the top 17 prospects bring to the table? Which player would be the best fit in Chicago to replace Jordan Howard? All of […]The post  2019 Draft Running Back Rankings (Evaluating Options for the Chicago Bears) appeared first on The Chicago Audible. Woah! The news broke that Jordan Howard was traded during our live recording. Our reaction is at 45:45. For the remainder of the episode, the guys continue and conclude their rankings of each NFC North team at every position with a tournament with the focus being on defense. Are the other divisional teams starting to […]The post  BREAKING: Jordan Howard Traded to the Eagles (Plus: NFC North Defensive Bracket Breakdown) appeared first on The Chicago Audible. The guys start off the episode by sharing their take on the latest Chicago Bears news including the re-signing of QB Tyler Bray and punter Patrick O’Donnell. Oh, and did Zach Miller re-sign with the team? They then rank each NFC North team at every position with a tournament. How do the Chicago Bears stack […]The post  NFC North Offensive Bracket Breakdown: How do the Chicago Bears Stack Up? appeared first on The Chicago Audible. The Chicago Bears continue to be active shoppers in free agency as they’ve signed Safety Ha Ha Clinton-Dix, WR/RB/KR Cordarrelle Patterson and OL Ted Larsen. In this episode, the guys discuss their initial thoughts on each acquisition an explain what to expect from them.The post  Chicago Bears Free Agency Reaction: Ha Ha Clinton-Dix / Cordarrelle Patterson / Ted Larsen appeared first on The Chicago Audible. Welcome to Chicago Mike Davis and Buster Skrine! In this episode, the guys react to the breaking news of the two newest Chicago Bears. They also discuss the current rumors around players like Mark Ingram, Le’Veon Bell and Justin Houston. Additionally, the guys go through each position of need and discuss the names to keep […]The post  Instant Analysis: Bears Sign RB Mike Davis & CB Buster Skrine (And a Full Free Agency Primer) appeared first on The Chicago Audible. In this jam-packed episode, guest Bobby Peters joins the show to discuss his book: The 2018 Chicago Bears Complete Offensive Manual including insight on what concepts were behind the team’s success last season. Plus, site writers (and draft experts) Steve Letizia and Chris Bocker hop on to discuss their favorite prospects from the NFL Combine, […]The post  NFL Combine Recap and a Deep Dive Into the 2018 Chicago Bears Offense appeared first on The Chicago Audible. The guys are back to catch you up with the latest Chicago Bears news and insight. In this week’s episode, the crew discusses a variety of topics including this week’s NFL Combine, the current state of the Bears’ special teams unit that is in flux, the three roster moves that took place, and much more!The post  Bears Offseason Discussion: NFL Combine, State of Special Teams, Roster Moves (And More) appeared first on The Chicago Audible. In this episode, the guys are joined by ESPN’s Field Yates who shares his thoughts on a variety of Chicago Bears topics including what the Bears should do with Adrian Amos, what he expects from the team in Matt Nagy’s second season, the chances that Mitchell Trubisky can become a trusted starter (from a fantasy […]The post  ESPNs Field Yates on the Chicago Bears Future (And More) appeared first on The Chicago Audible. In this episode, the guys analyze the current state of the Chicago Bears’ defense. Listen as they take an in-depth look at each position, sharing the level of need of each, which players should return (and be shown the door), if there are any “surprise” cuts to look out for, and much more including answering […]The post  Chicago Bears State of the Franchise 2019: Defense appeared first on The Chicago Audible.